Two Four Exteriors is is an exterior remodelling company that proudly serves Kansas (Kansas City Lenexa, Overland Park, Prairie Village, Shawnee, Bonner Springs, Ottawa, Spring Hill, Gardner, Olathe, Leawood, Leavenworth, Mission, Fort Scott, Hutchinson, Wichita, Desoto, Lawrence, Topeka).. Over the years we have found what it takes to come up with a perfect solution to improve the look and feel of your home. Our blog is your resource to find informative and inspiring articles related to home remodelling and improvement. We are always open to your queries. Feel free to connect. Whether you need to get new siding because the old stuff is getting worn down, or you just want to spruce your home up, it can be a hard process. Even though it is an arduous process, it is also quite beneficial. 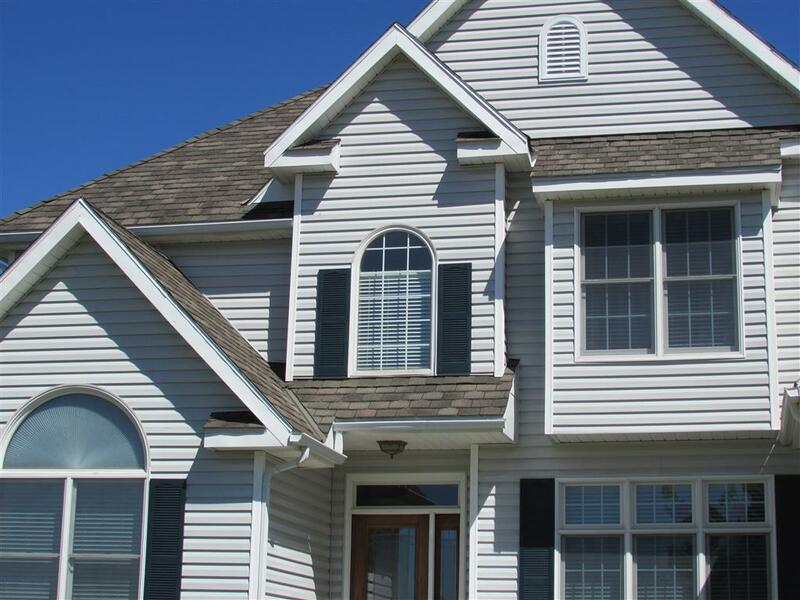 New siding installation in Kansas City is beneficial in five specific ways. 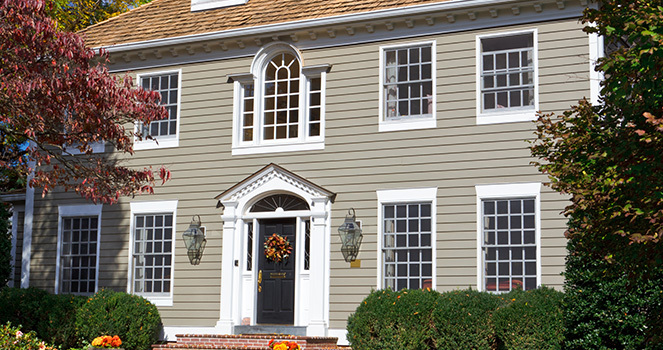 When you install new siding on your home, you instantly increase the curb appeal. The new siding looks uniform and brand new. That makes your house look much better than when you had older, grubbier siding. Installing new foam-backed siding also saves you money on your utility bills. This siding provides an extra layer of insulation that helps keep you home at the perfect temperature no matter what time of year it is. Help make your home more energy efficient by installing new siding. This affordable siding is also long lasting and durable. That means that your house will look good for a long time after you get new siding installation in Kansas City. You will not have to worry about replacing it again anytime soon. This siding looks good, helps insulate your home and is durable, but on top of all of that it is also easy to maintain. You don’t have to paint it because the color goes through the panel. The durability means that it is resistant to scratches, wind and fire. On top of all of that, you get to choose how it looks. There are a large number of color selections available to choose from. That means that you get to pick the color that is right for your house. You do not have to have the same color house as everyone else, because there are plenty of different colors that you can have. New siding installation in Kansas City means that you can have a nicer looking home that is the color you want, is well insulated and will last for years. Talk to a professional today. Shingle color options and service cost are some of the first thoughts many homeowners have when looking for roof installation in Kansas City. While these are important considerations, a pleasing project outcome requires more. After all, it is not enough to have a roof that looks good and is affordable; durability and proper installation arealso essential. The roofing materials need to be strong enough to withstand extreme weather conditions, and they have to be installed correctly. Knowing what you want and using that knowledge to guide your decisionsensures lasting satisfaction. Weather should be a prime concern when considering roof installation in Kansas City, as this area is prone to tornadoes, torrential rain, and other climate extremes that can cause severe property damage. No one can promise that your home will never sustain damage from these acts of nature, but using the finest building materials might help reduce your property’s vulnerability. Some roofing systems are better able to handle exposure to extreme weather than others, granting you and your property superior protection. You want to choose a system wherein the materials used are praised for durability, allowing you to increase the safety and soundness of your home while reducing the risk of having to make unexpected repairs. There are many professionals, so it can be a challenge to determine which one best suits your needs. One important thing to look for is a satisfaction guarantee, as this vital level of protection might help reduce project-related stress while making certain you will be pleased with your new roof. Roofers who offer such guarantees are more likely to do the work carefully and perform a thorough inspection upon completing the job. With these professionals, your roof will be properly installed, leak-free, and highly durable. It is nice when roofing is aesthetically pleasing – a factor that is important to most homeowners – but you also want a roof that is going to last for many years. When looking for roof installation in Kansas City, you can find what you want by making sure you get the finest materials and a solid satisfaction guarantee. If you live in an older home, it is common that you may begin to experience signs that you need a new roof. Another instance where you may need a replacement is if you have experienced damage. Whatever your situation is, it is important to know when it is time to have your roof replaced. It is a crucial part of your home and it is essential that it is constantly intact. Also, remember to hire an experienced professional for your roof replacement in Overland Park. If you are considering a new roof or if you are wondering if it is time to replace it, check out these signs. 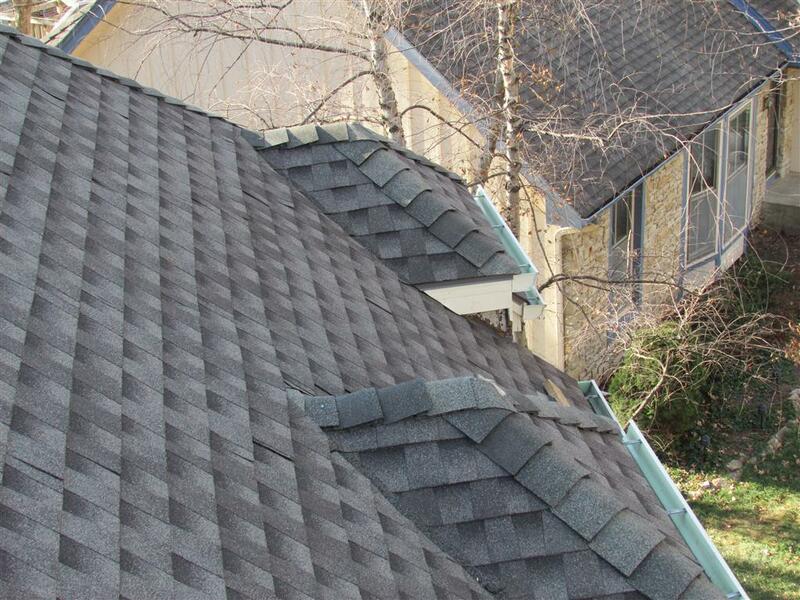 •	Cracked or missing shingles: If you notice shingle damage or shingles that have fallen to the ground, it is probably time to look into getting a new roof. •	Age: If you know your roof has been in place for 20 years or more, you may want to have it looked at. •	Moss: Moss may cause potential damage to granules, leading to more long-term problems. •	Leaks: Water coming through when it rains is a huge indicator. •	Sagging: A drooping roof should be replaced immediately before it leads to further damage and danger. If you are still unsure of whether or not you need a new roof, have a professional look at it. Chances are you probably will, and an experienced, trustworthy contractor will be able to ease your concerns. They will use only the best materials and complete the job thoroughly. You can be assured that you will receive the highest quality available. For your roof replacement in Overland Park, choose a company you know you can trust. Whether you are building a new home or upgrading your current home, investing in a good roof will protect your home and increase your home’s value. 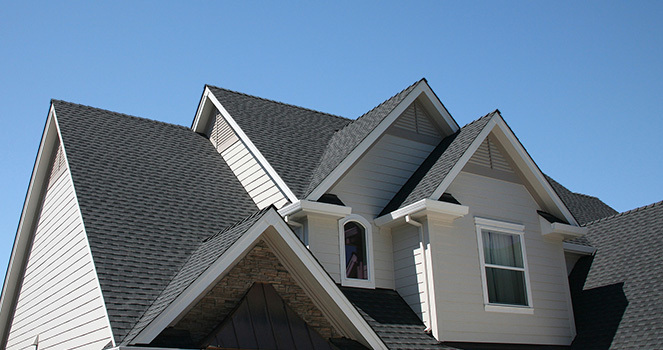 There are many roofing material options that suit the location where you live and your style. Choosing a high quality roofing company will allow your roofing project to proceed with the craftsmanship and proper materials necessary to protect your home. A good roof will protect your home and your property from water and wind damage and will save you money on heating and cooling your home. If you are in an older home, it is a good idea to find a qualified roofing company to inspect your roof for damage. Some common problems that occur over time with roofs include poorly sealed seams, degraded flashings, or broken or missing shingles. Left untreated, these damages can lead to extensive water damage or pest intrusion into your home. A roofing professional will be able to safely inspect your roof, even if you live in a multi-story home, and identify any damages to your existing roof. In some cases, after the inspection, you might find out that a low cost roofing repair will be all that is necessary to protect your home. In addition, many consumers do not realize that a good roof and attic ventilation system will help remove unwanted heat from your home, reducing your energy bills. 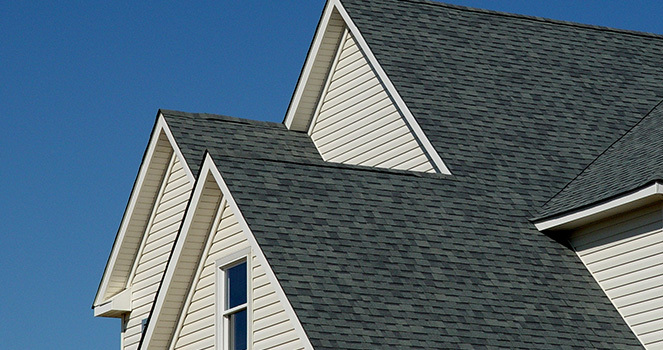 Find a roofing company that only installs the highest quality materials. There are many different types of roofing materials including shingles, tile, membrane, or metal. Consult a professional regarding the best material to be used in your area. 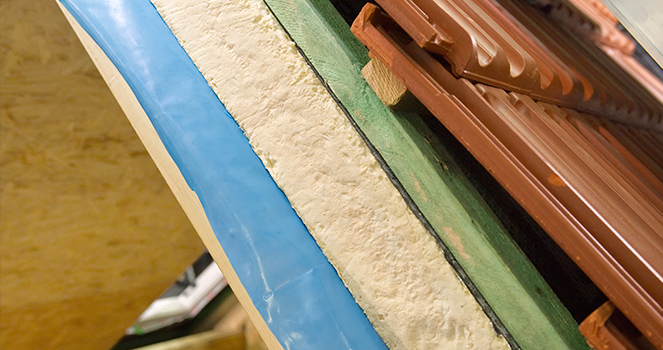 Extreme weather or propensity for natural disasters like earthquakes influences roofing material choices. Your roofers will not only pick the right materials for your home, they will also give you color and material choices to fit your style. With proper installation by a roofing professional, a new roof will protect your home and family while increasing your home’s value. 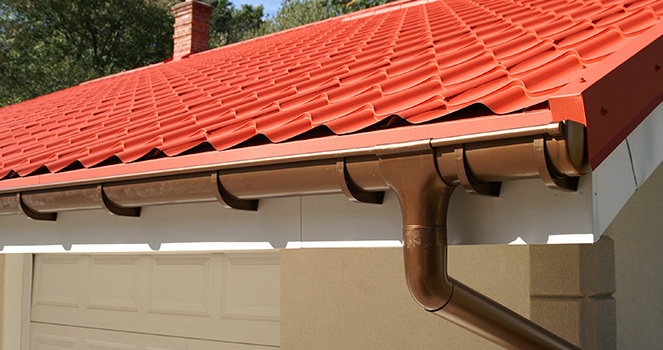 Why Is Gutter Installation Important for a Home? If you have recently become a homeowner, you may have never had to deal with maintaining any kind of property, especially if you were renting a home where the landlord always took care of those different things. However, now that you have a place to live in that you have invested your own money in, keeping it in the best possible condition is important. Gutter installation may be necessary if there are not any gutters on your home’s exterior or if the ones that are there are currently causing leaks. If you have leaky gutters, the water that is spilling out could end up getting on your home. It may start to ruin the paint job, along with the home’s structure after a while. In fact, the water could cost you hundreds of dollars in damages that are completely avoidable. All you need to do to avoid such a problem is to have the right gutters installed. There are seamless options that are larger and stronger than others. When having gutter installation done, you may want to choose the seamless gutters because of their strength, size and durability. The professionals complete the installation by placing up some of the strongest hangers beforehand. If weak hangers are used, the gutters may not stay in the right place where they belong, which would cause more of a problem for you in the future. However, when sturdy hangers are used, there is no need to worry about them falling off or tilting in the opposite direction, even when it is windy or raining outside. When the job gets done correctly, the gutters will do the job they are meant for, which is why you should only have professionals helping with the gutter installation. Your home is an investment, so keep it protected. Avoid rainwater damage by having gutters installed as soon as you can. After they have been installed, clean them out regularly to keep them in the best condition. Hire professionals: Replacing your windows is not a DIY project. It is recommended to have professionals take over the work and complete the project for you. Hiring professional contractors will not only ensure that the project is completed within time but also deliver a certain level of workmanship that cannot be expected from a do-it-yourself project. Repair VS replacement: It is not necessary that you need to replace the full window every time. Let the contractors examine your window to find out whether your windows need complete replacement or just partial repairs. In some cases replacing only the seals or the panes of glass is enough to fix the issue and save you big bucks. Type of frame: The framing material you choose for your window is as important as choosing the right contractor. No doubt wood frames look aesthetically appealing and give the classic look to your house but there are other cost effective options too. Vinyl is one of them. They are energy efficient, come in different styles and are also pretty inexpensive. Two Four Exteriors is a leading home improvement company specializing in roofing and siding installation and home insulation in Kansas City, Lenexa. The company also offers installation of gutters and replacement windows at excellent prices. Posted on Apr 15, 2015. Everyone wants a house that feels cold in summer and hot in the colder months. Heat can be transferred by convection, conduction or radiation. Fix the problem of a drafty window and doors in order to ensure that your house is properly insulated. Here are some easy and quick fixes that will keep your house insulated and comfortable and save you big bucks. One of the best ways to keep your home cool during the hot summer days is by preventing the scorching heat of the sun form entering your house. You can either used long curtains or drapes on your windows or temporarily get them tinted. The best thing you can do with your windows, however, is installing outdoor awnings. This will not only let natural light enter your house but also cut down the entry of undesirable sunlight. Gaps around windows are also a root cause of heat entering or escaping the house. Seal these cracks and reduce the entry and leakage of air to and from the house respectively. You can squeeze caulking cords and fill these gaps. You can also place film over the window to seal the glass. Electrical outlets also cause cold leakage into the house. Prevent this by using insulation pads and gaskets and stop the cold air from the outdoors to come inside. 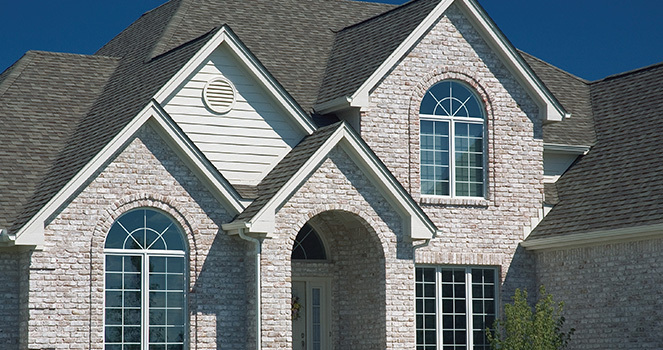 Two Four Exteriors is a leading home improvement company offering home insulation services in Kansas City Lenexa. The company also specializes in sidings, windows and gutter installation and is a leading roofing company in Overland Park. Posted on Mar 12, 2015. Wood siding: This is one of the oldest types of sidings used in houses and come in a plethora of styles, designs and textures. They come in clapboard, plank and shingle styles and are quite easy to repair. However, installing wood siding over an existing siding can be pretty difficult. Aluminum siding: Aluminum siding requires fairly low maintenance as compared to the wood siding. Like the wood sidings they come in a variety of styles like horizontal and vertical panels and oodles of prefinished colors. They are also available in a variety of textures like wood shakes, shingles etc. Two Four Exteriors is a leading siding company in Kansas City, Lenexa. Apart from siding installation, the exterior remodeling company also specializes in roofing installation, windows, gutters, sidings and insulation.